RanoFest, our annual cultural festival was back with a bang this year. With 100+ employees and their respective families coming together to celebrate the spirit of Ranosys, RanoFest 2014 was the biggest ever in our history. The theme for this year was ‘Shooting for the Stars’, which reflects our company’s ambitious goals for the new year as we prepare to enter the big league. RanoFest provides a platform for the entire Ranosys family to retrospect on the year gone by, celebrate the achievements and learn from mistakes. An evening of relaxation and entertainment unfolded as employees presented dance, drama and music performances exhibiting their latent talent. RanoFest is a welcome break from the regular routine of office and Ranosys employees took this opportunity to bond socially, shed all inhibitions, know each other better and make friends for life. The icing on the cake was the special visit paid by our guest Mr. Eddie Foong, CEO of Technopreneur’s Resources Pte Ltd, Singapore. One of our most prestigious clients, Eddie (as he is fondly called) shared his vision and future plans at the event, which served as an inspiration and morale booster for the Ranosys team. 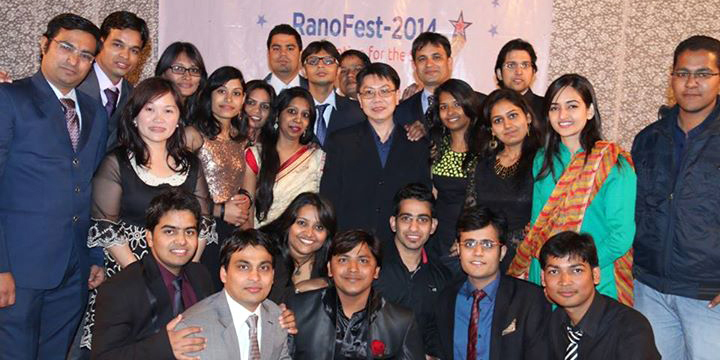 With fond memories of a memorable night, basking in the glory of RanoFest, the Ranosys team heralds yet another year with enthusiasm and exuberance for scaling new peaks of success.